A huge success in both bookshops and cinemas, the Harry Potter-series has drawn millions of readers and viewers into its magical world. In constructing this world, however, J. K. Rowling has created Harry and his friends in sharp contrast to other members of the magical and non-magical world. 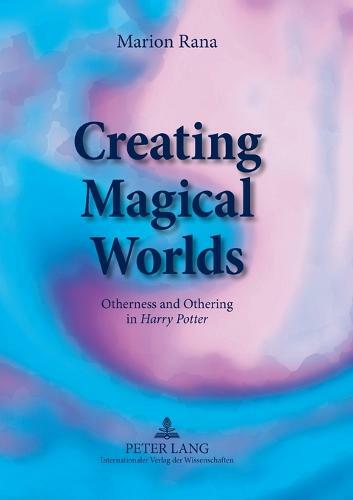 Creating Magical Worlds: Otherness and Othering in Harry Potter argues that the identities of the heroes are mainly based on delimitation from and rivalry to other characters: the Slytherins and Deatheaters, foreign students from Durmstrang and Beauxbatons, magical races such as the house-elves and centaurs, Muggles and Squibs as well as, to a certain extent, girls and women. Apart from explaining the social psychological and psychoanalytical reasons behind this exclusion, Creating Magical Worlds also shows in how far this delimitation is necessary for the action and the plot of the series.